Having trouble sleeping due to unwanted repetitive thoughts that keep going around and around? 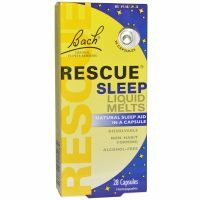 Night melts help to provide natural relief of occasional sleeplessness caused by stress and repetitive thoughts. Keep them by your bed or take away with you when travelling. Each pack contains 28 capsules. Place 1 capsule on tongue and let dissolve before retiring. Additional capsules may be taken as needed. 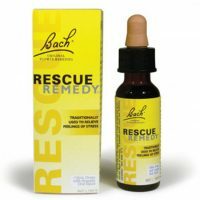 RESCUERemedy is a unique combination of five Bach Original Flower Remedies all working on emotional imbalances associated with daily stressful situations. 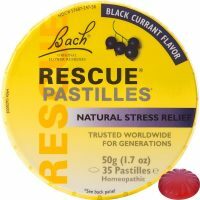 RESCUERemedy has been traditionally used to relieve feelings of anxiety, nervous tension, stress or agitation and provides a sense of focus and calm. Rock Rose – for terror and panic Impatiens – for irritability and impatience Clematis – for inattentiveness Star of Bethlehem – for shock Cherry Plum – to promote calmness and mental clarity The Bach Original Flower Remedies are a complete system of 38 flower remedies that can help us rediscover the positive side of ourselves. Whatever the situation, immediate or ongoing RESCUERemedy can help. 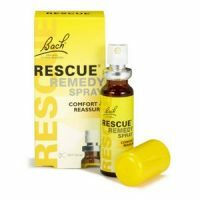 Rescue Remedy can also be given to animals and children in water.